For over 6 years, Picture Perfect Handyman has been providing deck renovation in a timely and affordable manner. The knowledgeable handymen at Picture Perfect Handyman will bring the attractive face back to your deck in a practical way. We will provide your deck with strong, safe and sturdy stairs and handrails. We will replace any old or rotting wood with treated wood to ensure a longer life span for the decks structure and footing. 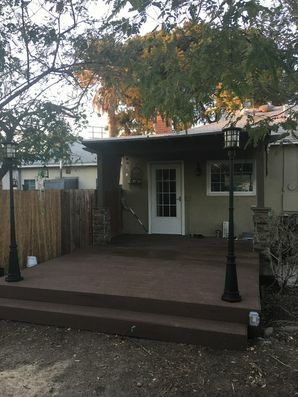 Thinking of having a brand new deck installed? Having a deck built for additional outdoor living space is a great addition to any home and will increase your home's value. For over 6 years, our expert team will install the beautiful deck you've been dreaming of. Picture Perfect Handyman can install or renovate wood decks, composite decks or combination decks. Call (661) 457-5991 for a FREE quote on enhancing your outdoor living space by installing or renovating your deck!